Home Parapsychology Spiritual Significance Of Halloween. What’s The Real Meaning Of All Hallows Eve? Spiritual Significance Of Halloween. What’s The Real Meaning Of All Hallows Eve? Spiritual Halloween. What’s the Real Meaning of All Hallows Eve? With just a short stroll through any grocery store in October, you’ll be quick to realize what one of the main icons of Halloween has become: candy! I’m not going to lie, dressing up in costume and collecting free candy from everyone in the neighborhood growing up, made Halloween one of my favorite holidays. I bet you’ve sensed or felt deep down that spiritually, on Halloween, there’s something more! 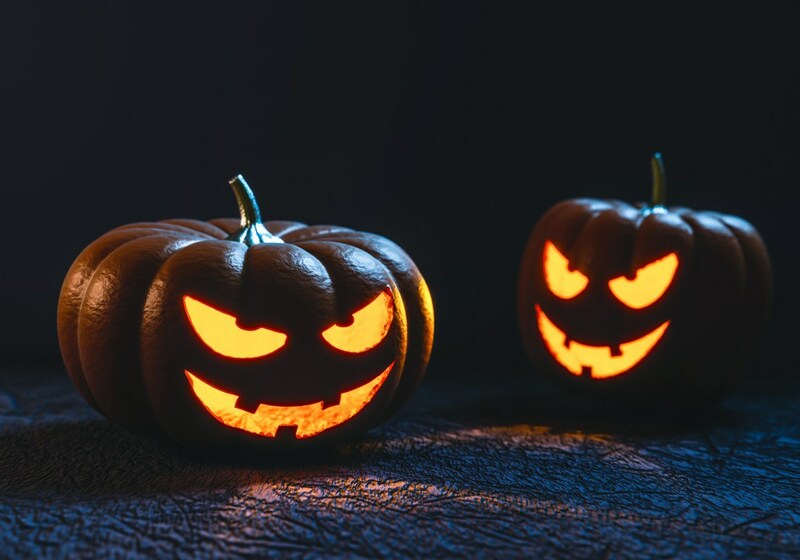 There is a deeper spiritual significance that underlies the mainstream fascination with Halloween largely revolving around trick-or-treating, haunted houses, Halloween costumes, and spooky fun. So what is the true spiritual meaning of Halloween? A great place to find the spiritual meaning of Halloween comes from looking at the origin of the holiday. Halloween’s origins can be traced back to the ancient Celts who celebrated Samhain (pronounced sow-in). 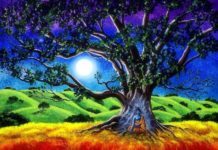 Samhain was the final harvest festival of the season, celebrated at the exact point between the Fall Equinox, and Winter Solstice (Right around October 31st). Samhain marked the end of the growing season, the entrance into winter months… And was seen as a powerful turning point in the wheel of the year representing the cycle of life, death, and rebirth. In the wheel of the year cycle; Samhain was the time of death. It was a celebration of darkness… And I don’t mean darkness as in “evil”, but rather a darkness that represents the unknown, the void, the subconscious mind, the realm of intuition, and all we cannot logically see or comprehend. Samhain was also a time when the veils between the realms of the living and the afterlife were said to be thin. The ancient Celts tapped into this energy with rituals to celebrate death, to honor those in the afterlife, and to gain insight into the darker hidden realms of existence. Their belief was that in integrating and accepting the darkness… The knowledge and power of the light is also renewed. I want to share a little perspective of how you can add a spiritual twist to your Halloween celebrations today. It’s a powerful time to honor and release what all has died and moved on from your reality. :: Release and Let Go! The time on and around Halloween is a perfect opportunity to release and let go! Take some time to cleanse your energy with a salt bath, a cleansing meditation, or just by consciously cleansing your energy with light and returning to love. Letting go also includes taking the time to honor and release all that you have achieved in the past year. When you shed and let go of all that has been, and let what has been completed die and fall away… You tap into the power of the cycles of life, and the opportunity to make way for new creative possibilities and opportunities to appear. It’s a perfect time to consciously tune into the realms of spirit too. This could be honoring your ancestors and loved ones in spirit. Looking for signs from deceased loved ones. Or just heightening your intuition, and tuning your natural psychic abilities so you can connect with the guidance and insight of your guides and angels. It’s a good idea to consciously keep your energy clear and protected, which is really easy to do with a bit of awareness, love, and light. I do want to make one thing perfectly clear… Halloween is not a holiday to be feared! It’s just wise to give a little extra effort towards releasing what no longer serves… Honoring your intuition, and honoring the incredible life beyond what we can see, and understand from our perspective as being in the physical. I see Halloween as a great opportunity to welcome the unknown, reflect, release, and bring a little extra magic and intuition into everyday life. It is just paving the way for the next cycle of rebirth, where we’re reset into an experience that’s entirely new.